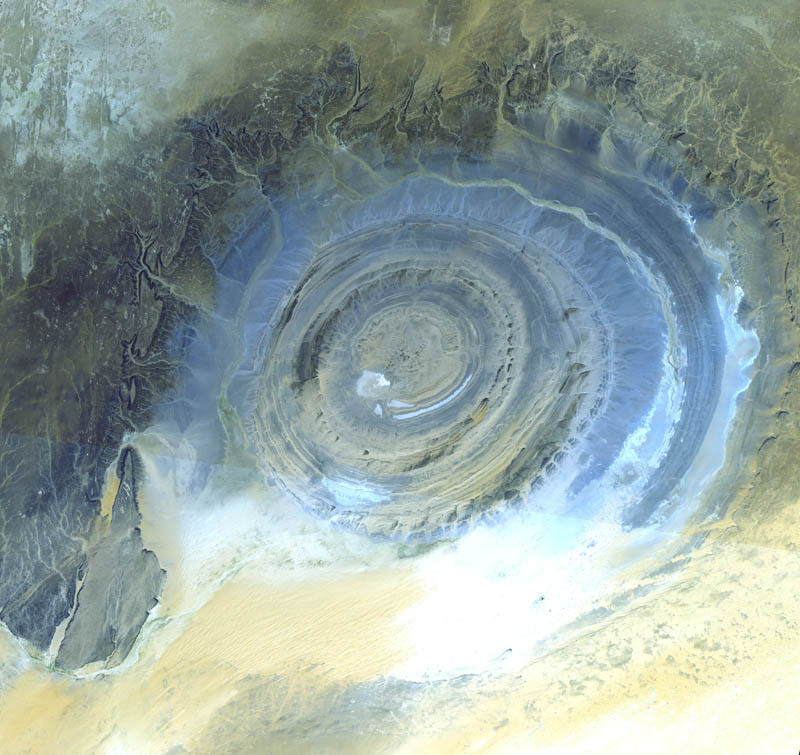 This prominent circular feature in the Sahara desert of Mauritania has attracted attention since the earliest space missions because it forms a conspicuous bull’s-eye in the otherwise rather featureless expanse of the desert. 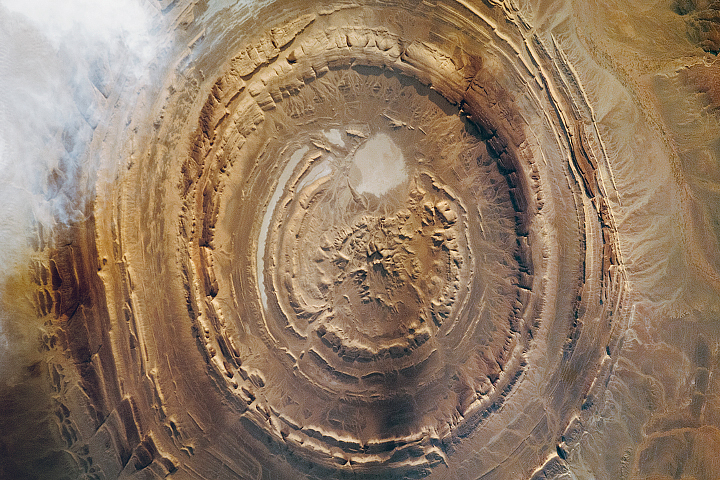 Described by some as looking like an outsized ammonite in the desert, the structure [which has a diameter of almost 50 kilometers (30 miles)] has become a landmark for shuttle crews. Initially interpreted as a meteorite impact structure because of its high degree of circularity, it is now thought to be merely a symmetrical uplift (circular anticline) that has been laid bare by erosion. Paleozoic quartzites form the resistant beds outlining the structure. This image was acquired on October 7, 2000 by the Advanced Spaceborne Thermal Emission and Reflection Radiometer (ASTER) on NASA’s Terra satellite. With its 14 spectral bands from the visible to the thermal infrared wavelength region, and its high spatial resolution of 15 to 90 meters (about 50 to 300 feet), ASTER will image Earth for the next 6 years to map and monitor the changing surface of our planet.